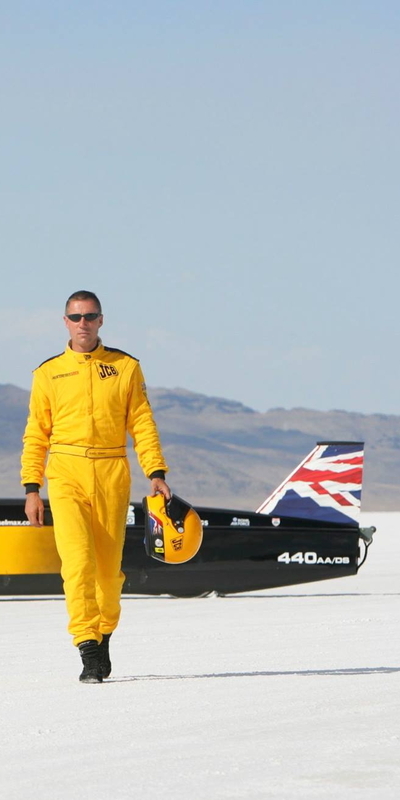 On Utah's fabled Bonneville Salt Flats in August 2006, a serving RAF fighter pilot – Wing Commander Andy Green – claimed the World Land Speed Record for diesel-powered cars at the controls of the JCB Dieselmax ‘streamliner’. The speed set was 350.092mph, and their record still stands. The JCB Dieselmax had two 750-horsepower engines and four-wheel-drive. Long, low and lean, its shape was highly efficient aerodynamically, with a cleverly sculpted underside to minimise 'spray drag'. Chief aerodynamicist for the project was the vastly-experienced Ron Ayers. The engines were versions of the British company's production JCB444 powerplant, boosted to generate five times the output of the standard unit by a complex twin-turbo system. One engine drove the front wheels, the other the rear, and both were cooled with a water/ice mixture, so the team needed a store of ice to replenish the car's tank after each run. This was but one of many challenges in searing daytime temperatures. Tyres tend to be the limiting factor in wheel-driven speed bids. Those fitted to the JCB Dieselmax were tested in the same facility used to test the Space Shuttle's tyres. Driver Green, who was flying Harriers for a living at this point in his career, took care to manage wheelspin as he worked the car up through the gears on the 11-mile track's slippery salt surface. It had two six-speed gearboxes, one for the front wheels and one for the rear, but he never used top gear – indicating there was even more speed to be had. This state-of-the-art speedster was brought into being with a substantial budget and a thoroughly professional approach. Britain had claimed a record held by America since 1973. It was a clear demonstration of what is possible when the will and the wherewithal are there. Want to see the JCB Dieselmax today? It's on display at the British Motor Museum at Gaydon in Warwickshire. 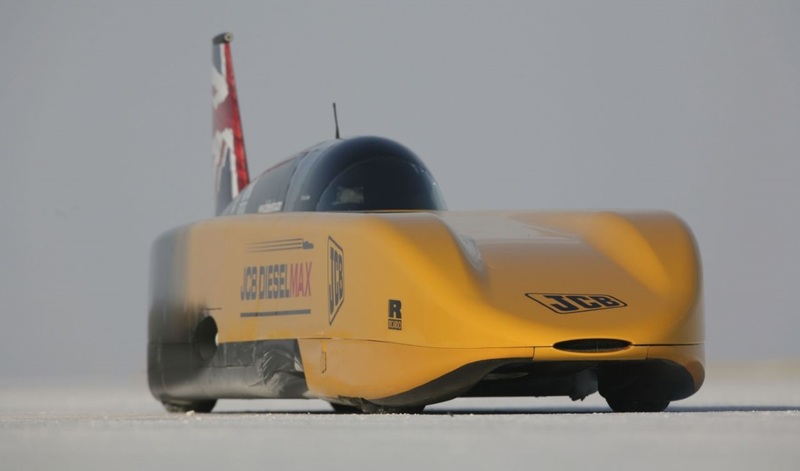 Alongside it are several other British-built vehicles that have broken world land-speed records.